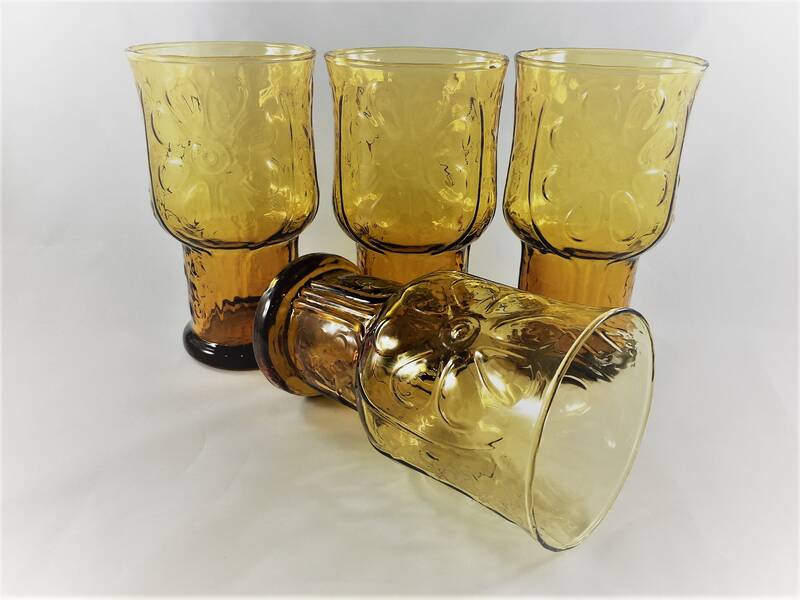 Featured is a nice set of four vintage tumblers or water glasses from Libbey. 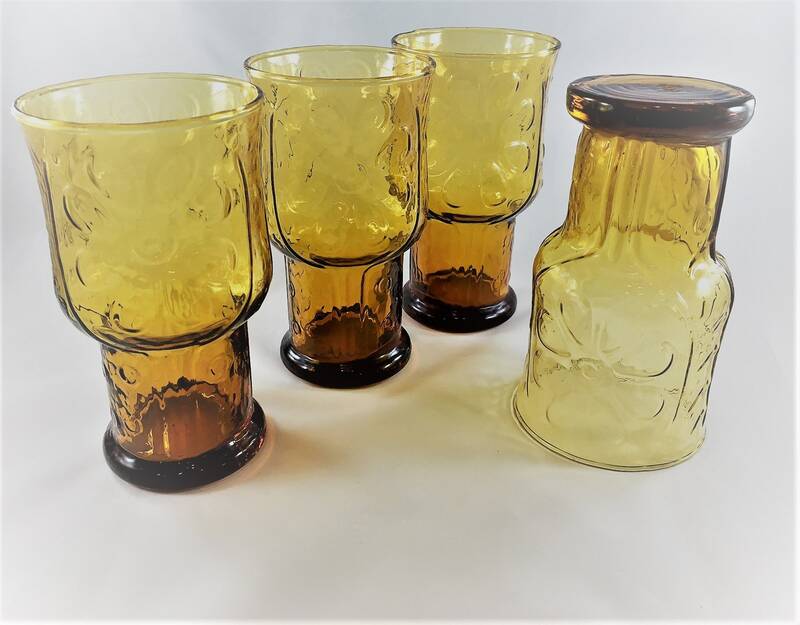 This amber glass set is from their popular 1970s pattern, Country Garden . The nice retro design features a floral motif. The glasses hold 15 ounces and are called "Coolers" by Libbey. 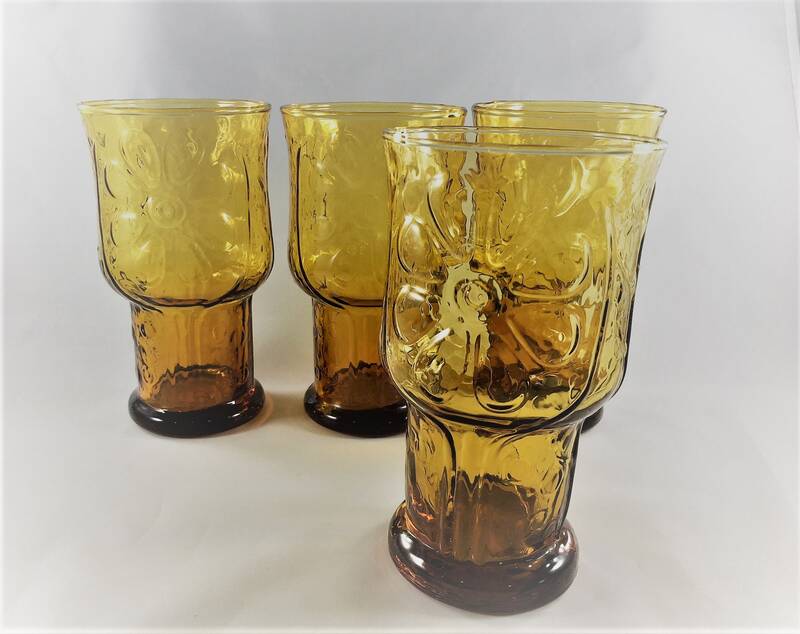 They are about 5 7/8 inches tall and are 3 1/4 inches in diameter at the rim. All four are in excellent vintage condition. Free from any chips, cracks, or cloudiness. All four glasses for one low price. Everything was perfect from click on to delivery.